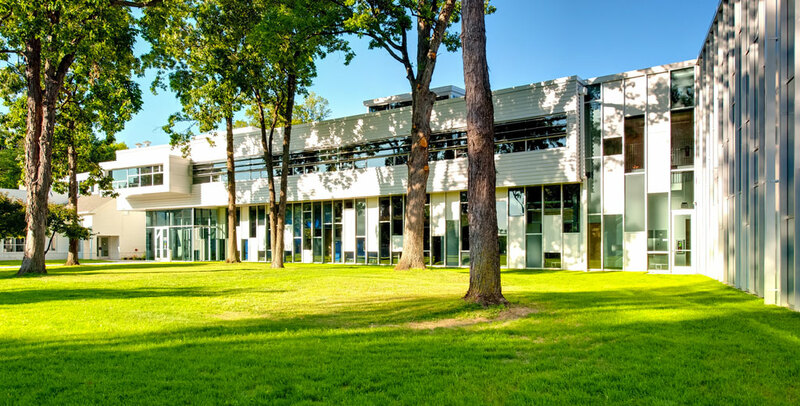 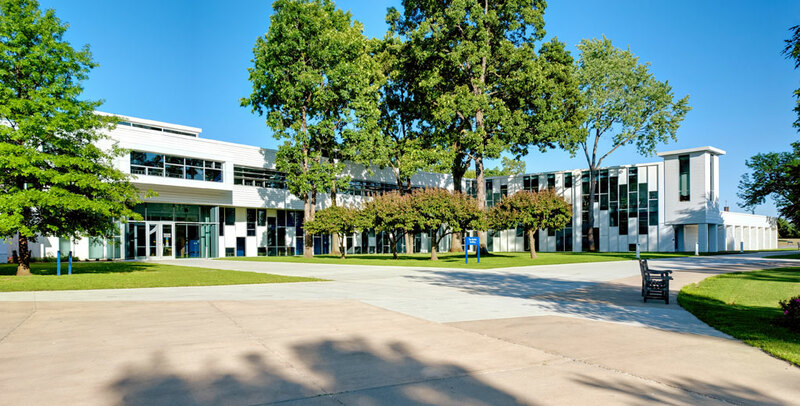 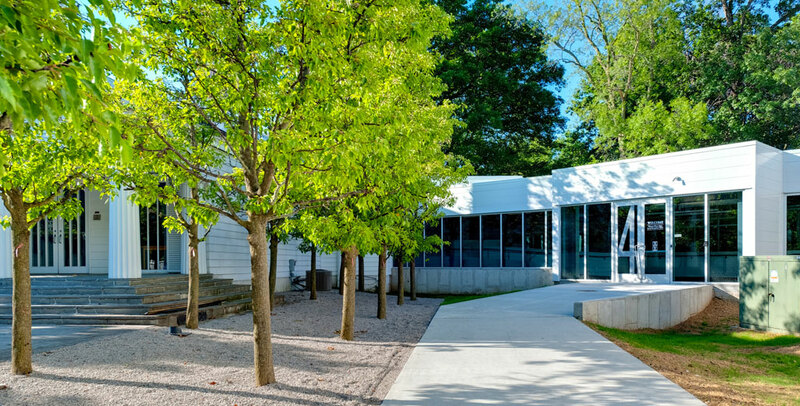 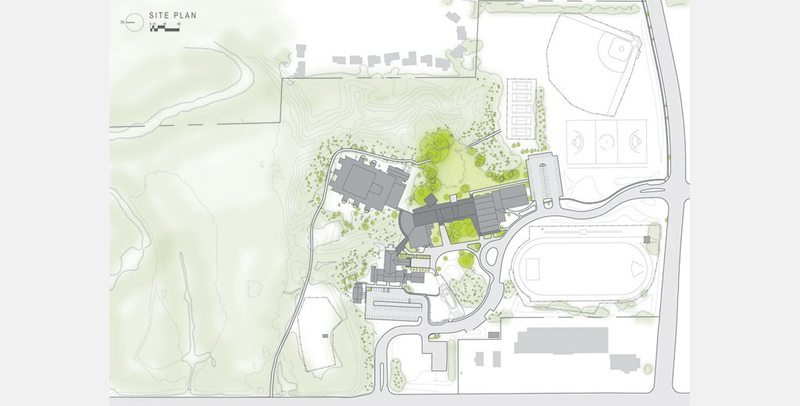 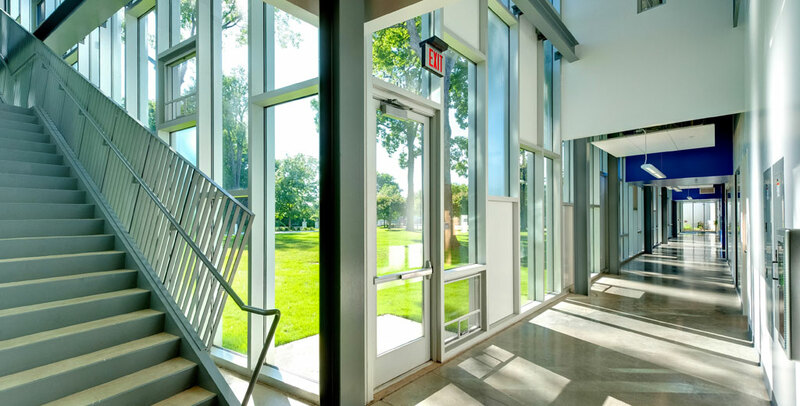 Maumee Valley Country Day School has been transformed with a new 44,000 SF Upper School and Administration, 3,000 SF Connector, and 16,000 SF Pre-School renovation situated within the beautiful wooded 72 acre site. 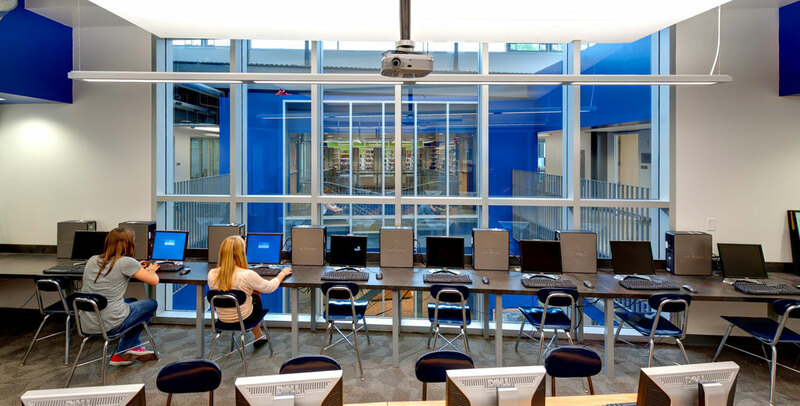 The innovative learning environment has integrated classrooms, media center, laboratories, information commons, and a large tiered group discussion space comprising the majority of the new Upper School program, which was developed through a community process in conjunction with a new Master Plan. 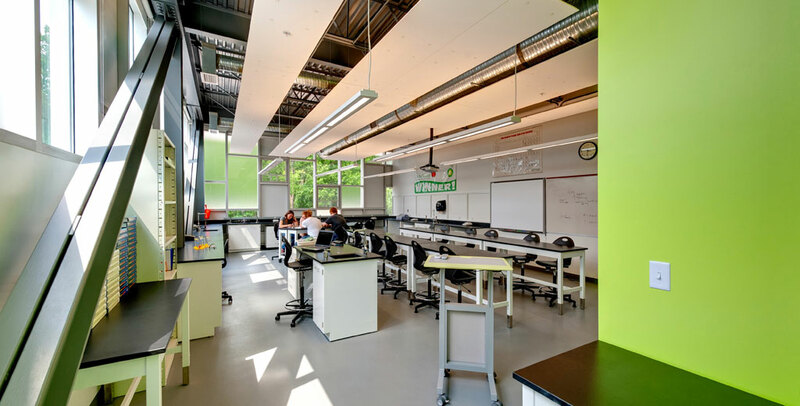 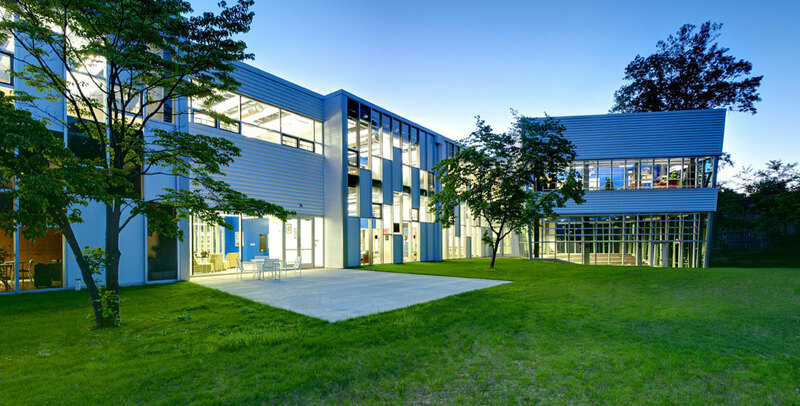 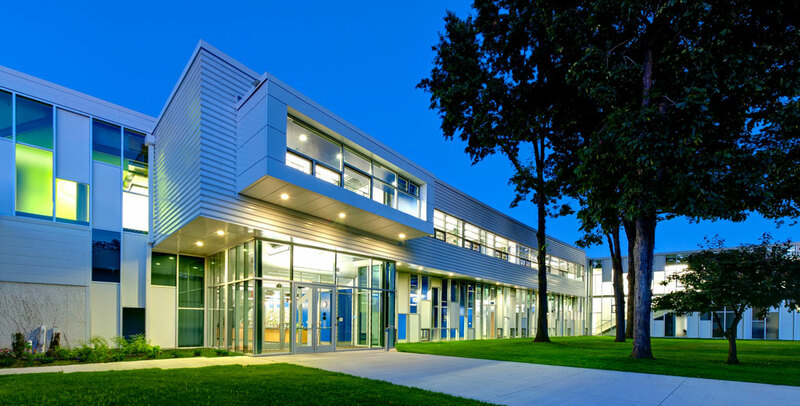 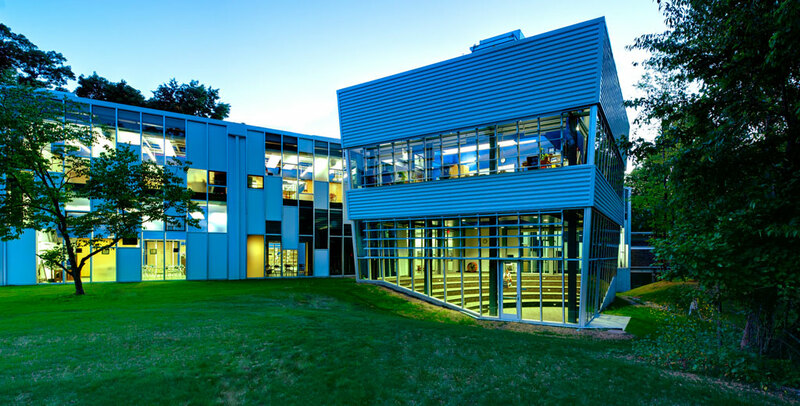 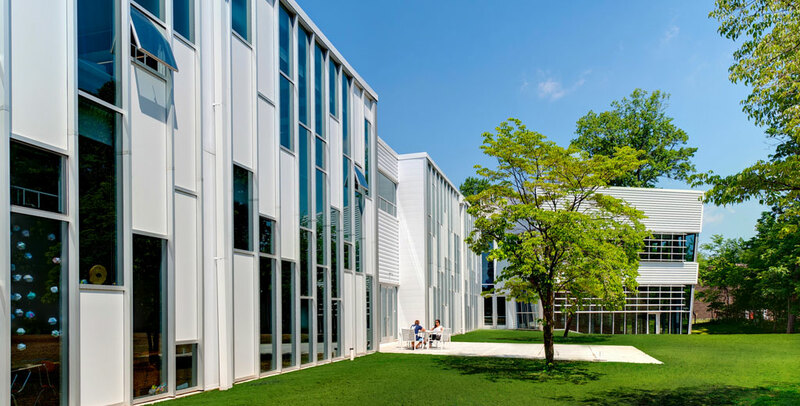 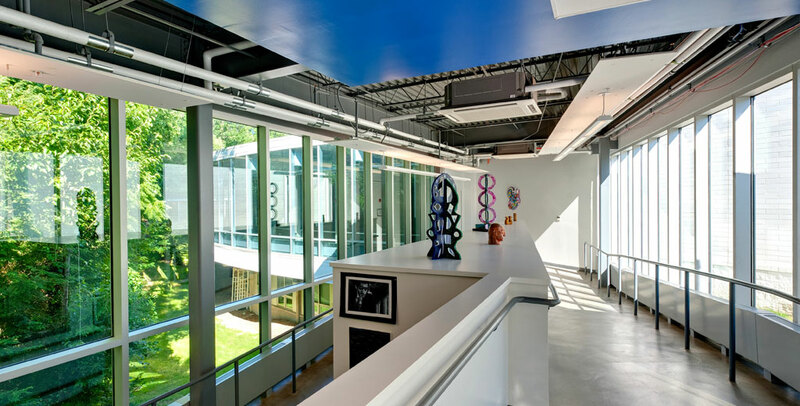 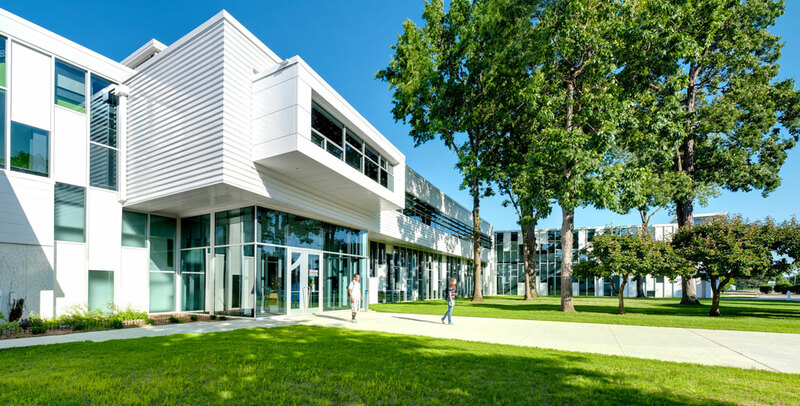 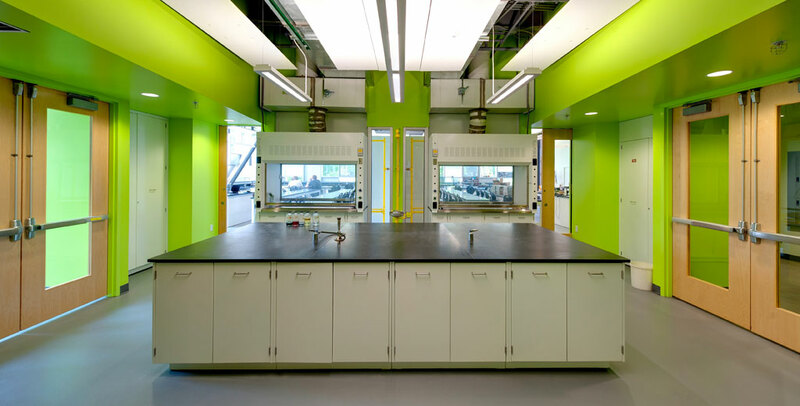 The new 200 student Upper School was LEED designed to connect all parts of the campus as a bridge between existing buildings. 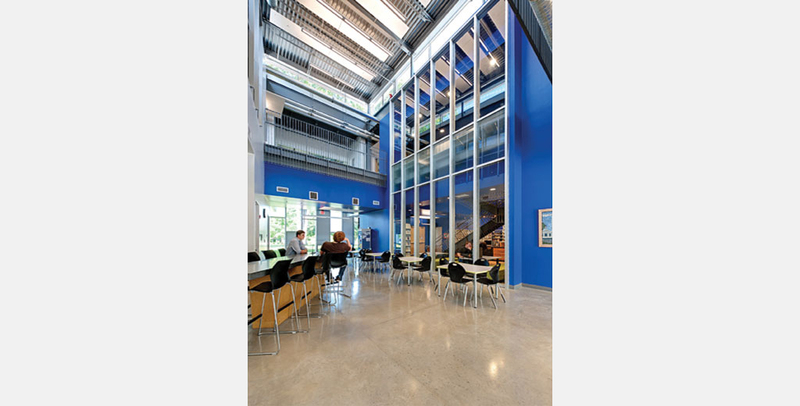 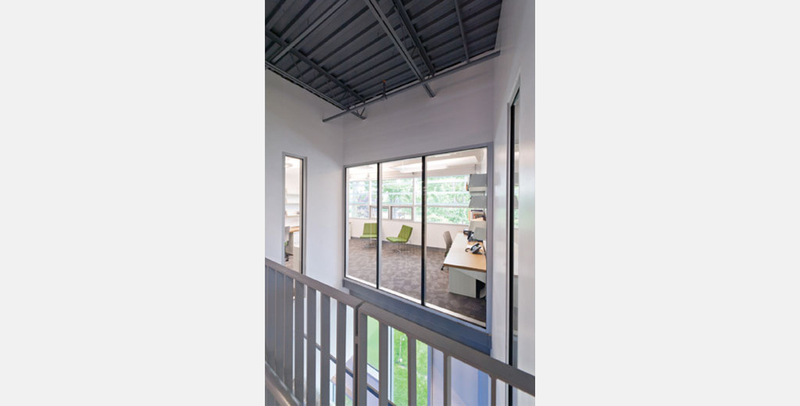 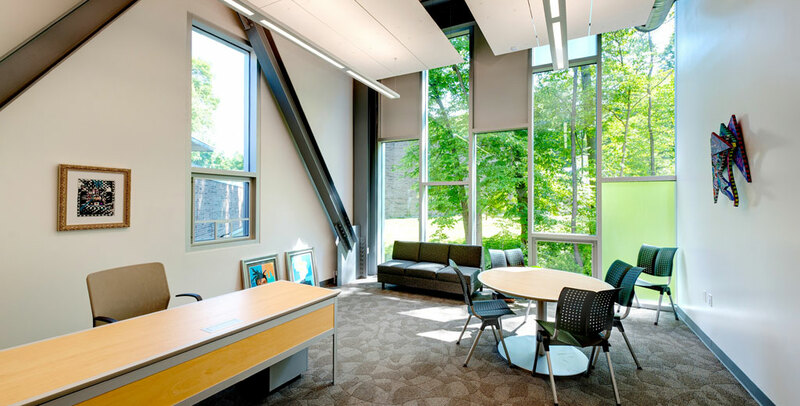 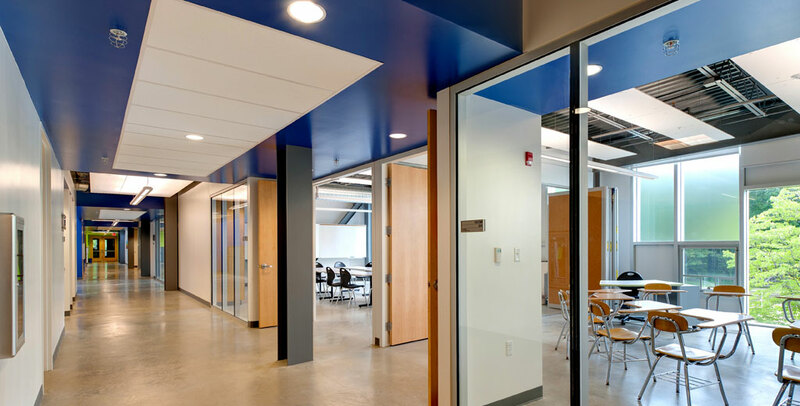 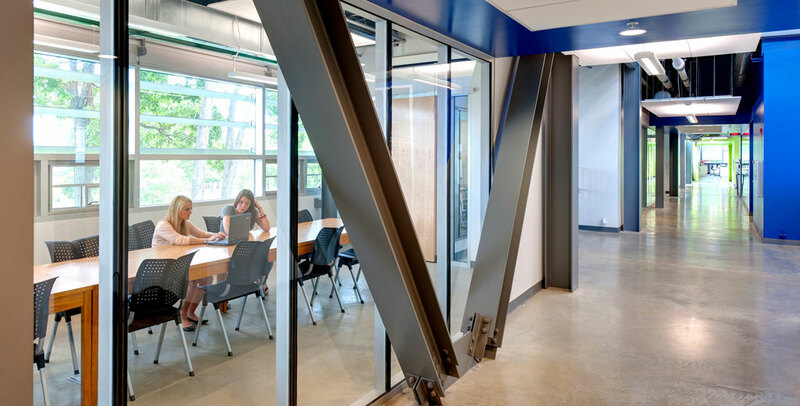 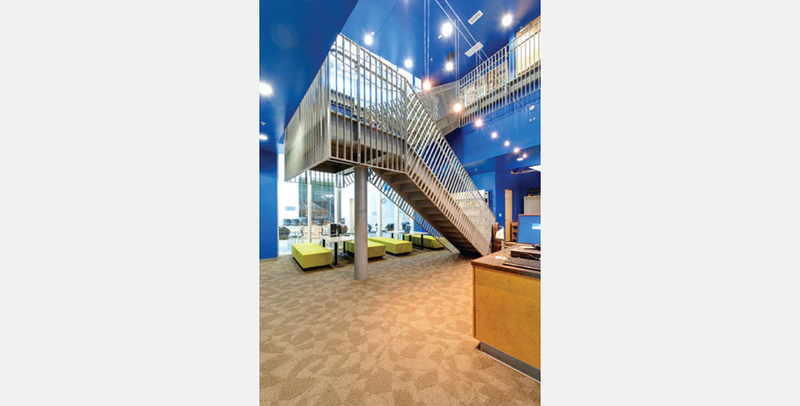 Porous space allows light and movement to interact, encouraging collaboration and synergy. 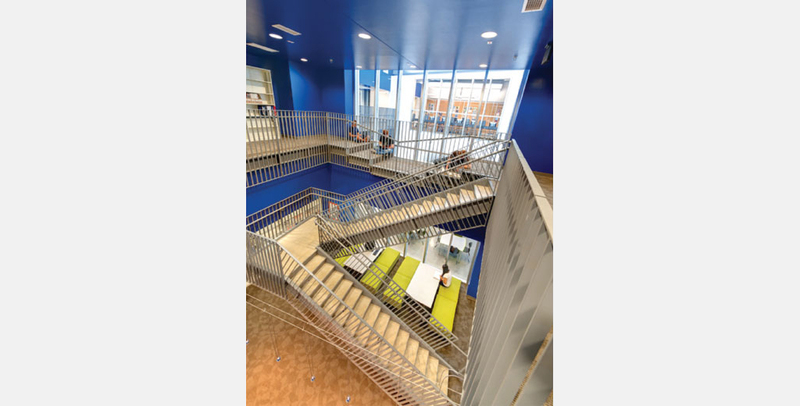 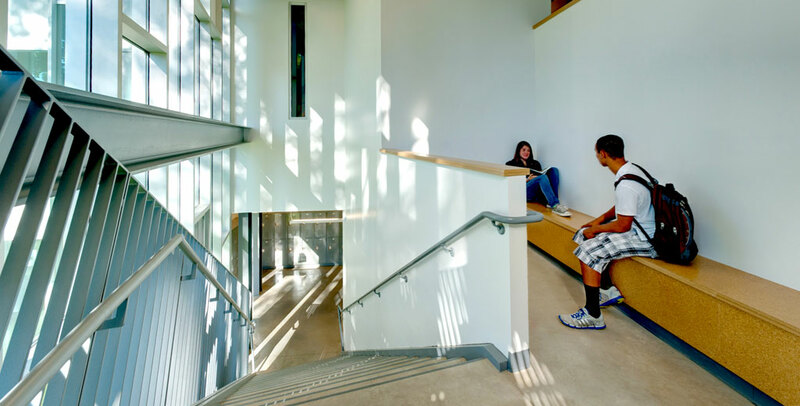 The new 2 story Upper School reduces the built campus footprint, and creates layered inside and outside spaces of an energized learning environment which inspires, engages, motivates, and contributes to the intellectual and social life on campus. 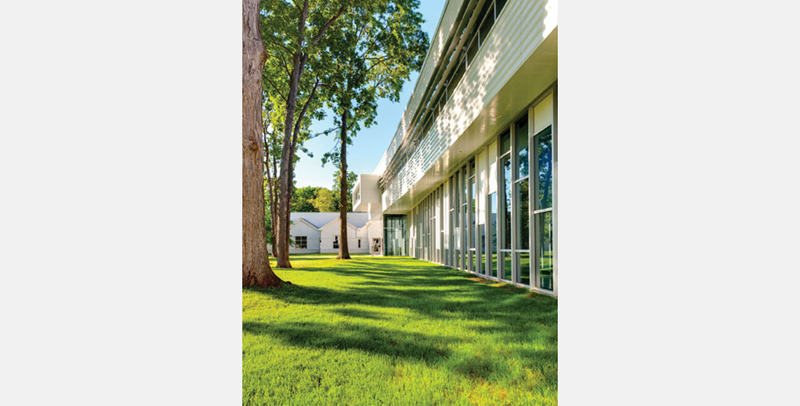 Reclaimed green space forms a new campus Global Lawn, activating the back side of the campus. 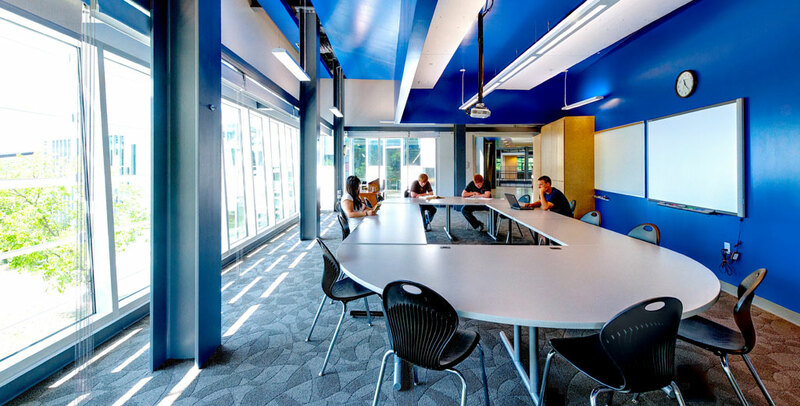 The learning environment is designed to achieve varied settings and stimulating spaces which, by their nature in design, create motivating and dynamic relationships. 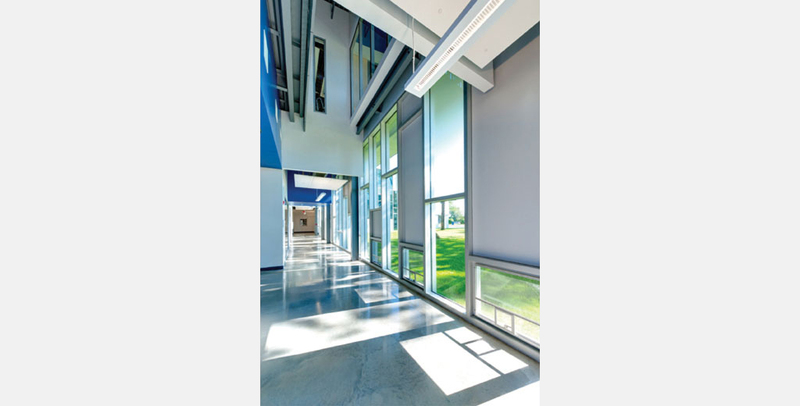 Spatial movement, natural day-light, color theory, environmental awareness and stewardship, and connective opportunities between classrooms and destinations provoke interaction. 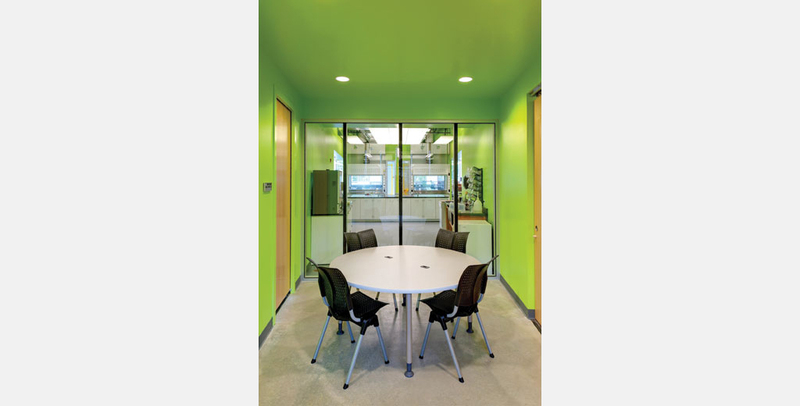 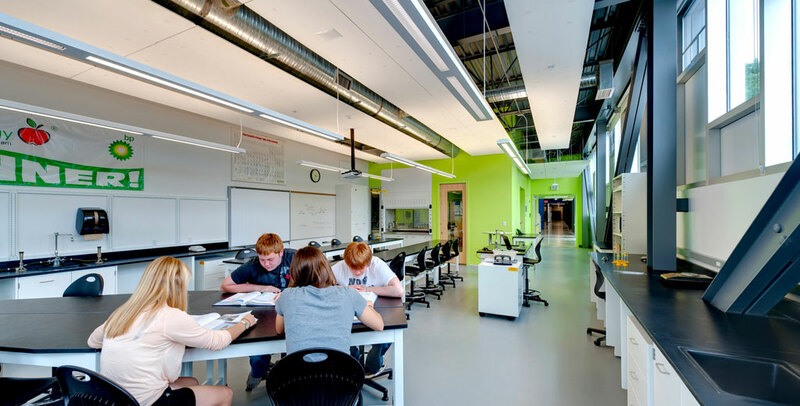 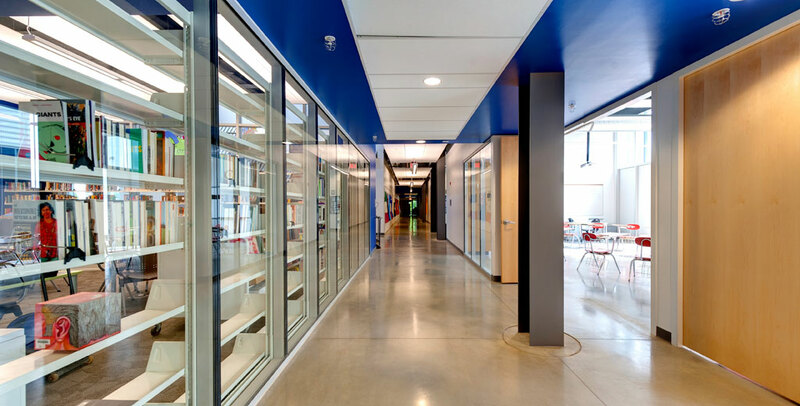 The fostering of collaboration, by utilizing small learning groups and open walls, is integrated in every space. 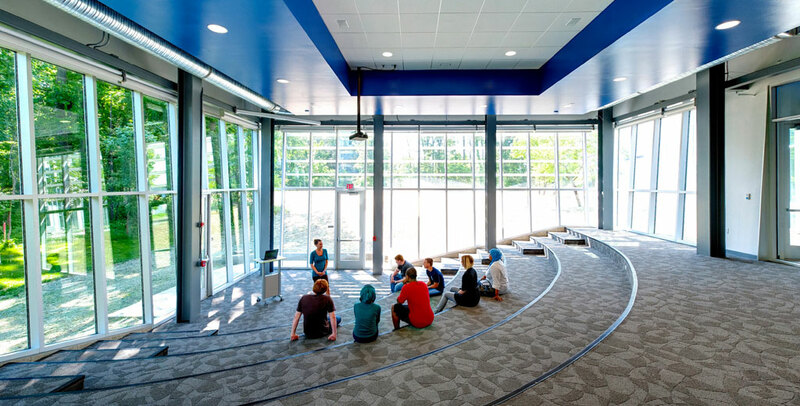 The learning spirit is visible and expressive – stimulated by spaces that invite and spark creative thinking.